Apple’s iPad and iBook Store haven’t even launched yet, and already they’re having a major impact on Amazon’s Kindle Store: three publishers are now jumping ship on Amazon’s $9.99 top price for ebooks and renegotiating their deals with Amazon to sell ebooks for prices up to $14.99 apiece. 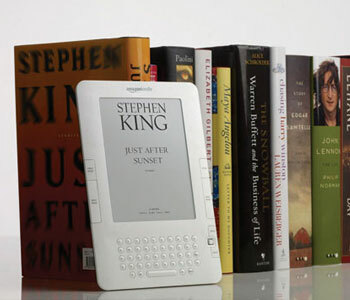 The moves started when Apple announced its iBook Store, which will debut in March with its much anticipated iPad tablet computing device: the iPad will support full-color ebooks, and they’ll be on sale for prices up to $14.99. Almost immediately, Amazon.com got into a tussle with publisher MacMillan over ebook pricing: Amazon pulled Macmillan titles from the Kindle Store, even while conceding that it will eventually have to relent to Macmillan’s demands that Amazon switch to agency pricing and charge $12.99 to $14.99 per ebook. Now, publishers Hachette and HarperCollins have announced plans to switch to an agency model whereby the publishers set the price for ebooks, and the retailer keeps 30 percent of the sales price. However, News Corp.’s Rupert Murdoch—which owns HarperCollins—was less charitable, stating flat-out in an earnings call that he believes the $9.99 Amazon ebook model “devalues books” and damages hardcover book retailers.